How did Elizabeth Clare Prophet find The Summit Lighthouse? What was it like in the beginning with Mark Prophet? How did the ascended masters contact Elizabeth Clare Prophet? Elizabeth Clare Prophet, as the head of a growing worldwide movement, would you tell us how it all got started? It began with a man and a master, both of whom I was privileged to meet while I was studying at Boston University in 1961. I had been seeking the ascended masters for a full five years. I knew Jesus as the living master of my life, and I understood him to be the Savior and the open door for the soul's reunion with God. 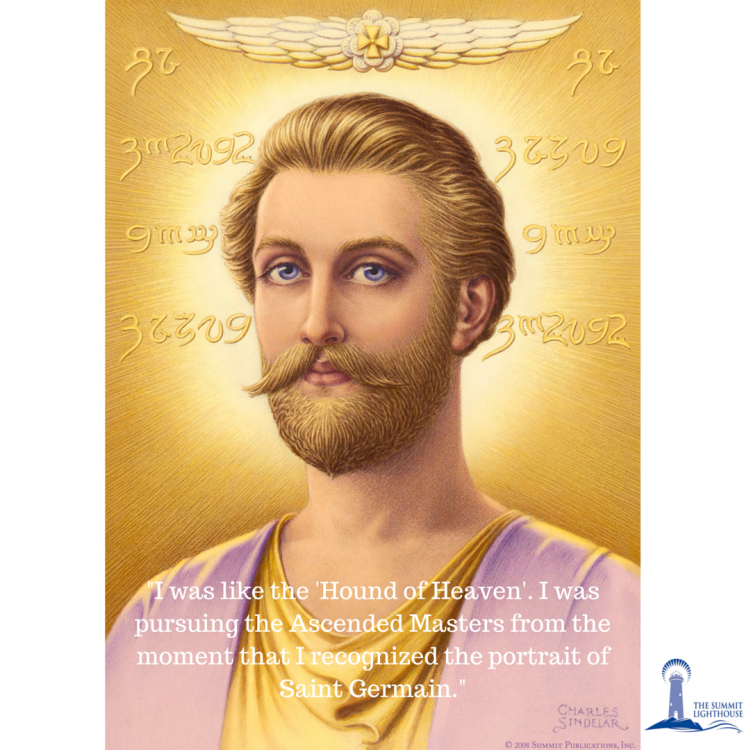 I was seeking and finding that living relationship with him and in conjunction with that I was seeking the Ascended Master Saint Germain, whom I identified through a picture I had found in an old book in my mother's library. Saint Germain, then, became truly the brother, the “holy brother,” which is the meaning of his name—Sanctus Germanus. So it was with Jesus and Saint Germain at the forefront of my consciousness that I was pursuing the inner walk with God. Yet finally at the conclusion of my five-year search, it was neither of these who came to me but it was in fact the Ascended Master El Morya. El Morya was to be my guru and the one who would train me to be the messenger for the ascended masters. I found El Morya through his messenger Mark L Prophet. Through a strange set of circumstances I had come across a group of devotees in Boston who were students of the ascended masters. I attended one of their meetings one evening and found that Mark Prophet had journeyed from Washington, DC to give a lecture and dictation. As I sat in the audience in meditation, I began to be filled with the Holy Ghost. 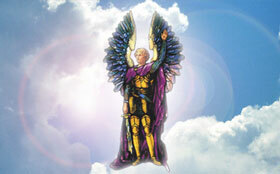 After Mark concluded his lecture, he delivered a dictation by Michael the Archangel. The dictation came as the dictations came to the prophets of Israel. The Word of the LORD and the Spirit of the LORD truly descended upon this man Mark, whose face I beheld for the first time. As I listened to the Word of the emissary of God, Archangel Michael, I felt the deliverance of this archangel, who is depicted in the Book of Revelation as the one who comes to help the Woman clothed with the Sun and to deliver her and the Manchild from the face of the dragon. I recognized in Archangel Michael a being whom I had known for many incarnations and who had succored Joan of Arc in the hour of her great triumph and her sacrifice. And I knew that I was meeting one who was to lead me through the wilderness and bring me to my service to the LORD in this hour. And so, Archangel Michael delivered through Mark Prophet the message that set me free to follow the calling from God to be a messenger. During the months that followed this meeting, I was in communion with my own God Self and with a number of the ascended hosts—not the least of whom was Mary, the mother of Jesus, whom I was just discovering. I found her to be the great Mother, the great Virgin consciousness, and the one who restores in the sons and daughters of God their mission on earth. Not long after, I was cutting through a park in Boston and there crossed my path the Ascended Master El Morya. He appeared to me in a great light and a great energy. It was not a physical appearance, but I felt a presence and I saw a person with my inner eye, my third eye. Tall, enturbaned, in a blue robe, he communicated to me the necessity of the mission of communicating to the sons and daughters of God, the remnant of the people of light on earth, the teaching of the Christ and of the prophets of Israel. Some of this teaching had been lost and some of it had not yet been interpreted by the Holy Ghost so as to make it understandable to the children of God in this age. He gave me my commission and said it had come as the result of my imploring the LORD to fulfill my mission and of my constant prayer to Jesus Christ and to Saint Germain. He told me that I should go to Washington, D.C., to be trained as a messenger for the ascended masters and that he would train me through Mark Prophet. The purpose of his training would be so that I could receive the initiations that would allow me to come into alignment with Jesus and Saint Germain and finally to be anointed by Saint Germain as his messenger. I obeyed the instructions of El Morya. I prepared to leave Boston and journeyed to Washington, where my training began. It was an arduous training and it has led me across the years to this hour of the fruit of that mission, the movement that is today known as The Summit Lighthouse. You describe an extraordinary chain of events. Did any of this frighten you at any time? It didn't frighten me because I was like the hound of heaven. 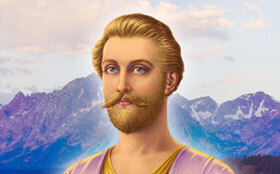 I was pursuing the ascended masters from the moment I recognized the portrait of Saint Germain. 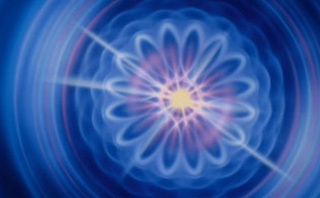 I remembered that prior to my incarnation I had been in the inner realms of light with the ascended hosts. 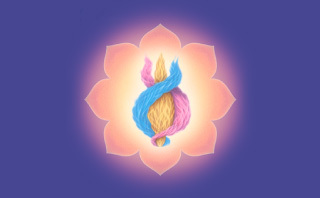 I had recollections of the plans that the ascended masters had made to bring to fruition in this age the teachings of the two witnesses spoken of in Revelation. And I was, you might say, chafing at the bit, waiting for the coming of the LORD's hosts. In fact, I was so determined that I would make contact with the Brotherhood of Light that I actually stood on the roof of my apartment in Boston and cried out to God and to Jesus and to Saint Germain to come and get me because I was ready for service! Were you able to tell anyone else what you were going through? I could only really communicate it to Mark Prophet, who became my close friend and teacher on the Path, the instrument of El Morya and ultimately my husband. I had the privilege of knowing him as friend and as his wife and the mother of his four children. And so with Mark and then with the growing student body of devotees of the masters, the movement has grown. After we were married, Mark and I served together for just about twelve years and then he took his leave of this plane, as he had told me he would do as soon as he had prepared me to succeed him. He passed on and made his ascension and is now known to us as the Ascended Master Lanello. What was Mark Prophet like? Mark Prophet was the one I had been searching for in this world. I can remember that from the time I was a little child, wherever I went I would look for a pair of eyes that were full of God and full of the hope of the heaven-world. Everywhere I went, in every church and synagogue where I would go seeking for God, I would be looking for those eyes. And when I was in Boston in that little meeting, I saw him for the first time, and I recognized the eyes of the one for whom I had been waiting. Mark Prophet was to me, and to all of us who knew him, the living example of one who embodied a tremendous energy of God, a tremendous love and a tremendous wisdom. He was like Abraham; when we were with him it was like living in the bosom of God. He was Father to us. He was Teacher. He was all things. We could see in him Mother and Holy Spirit. He lived the teachings of the ascended masters and he gave to us a most delicate impartation of the flame of his heart. The flame of the Holy Spirit burned on the altar of his heart. It is through that Holy Spirit that we envision the deliverance of America and the earth.